It’s rare that a piece of legislation containing the word “wilderness” stands a chance in Congress these days, so when I was invited to fly over a proposed 37,000-acre parcel in southwest Colorado that could actually make it onto the president’s desk, I jumped at the chance. The fact that it was a crisp, clear autumn morning I would have otherwise spent in front of a computer really had nothing to do with it, I swear. With The Wilderness Society’s Jeff Widen giving the play-by-play over our headsets, a trio of Cessnas lifted from an airstrip outside Durango and flew 20 miles north to Hermosa Creek, at the edge of the San Juan Mountains. From our 11,000-foot vantage, the foothills spread out in a mosaic of burnt-gold aspen and shadowy spruce, threaded by blue streams and capped by freshly-snowed peaks. The trip was courtesy of EcoFlight, an Aspen-based nonprofit that advocates for land protection through small-craft flyovers. Colorado's proposed Hermosa Creek wilderness. 1) Give yourself plenty of time. Hermosa Creek has been recommended for wilderness protection by the Forest Service multiple times since 1964 and was held back because legislators’ attention was focused elsewhere. The current proposal was more than six years in the making, and is the result of countless hours of work by Trout Unlimited, the San Juan Citizens Alliance, Southwestern Water Conservation District and some 70 other groups. “It’s a great case study in how wild areas come into being,” says Dan Olson of the San Juan Citizens Alliance. “They take years and years and years of effort. And they face all these junctures where they have the chance to become ... derailed.” In other words, a good wilderness proposal is like a peach — it needs time to ripen. 2) Be prepared to offer more than just wilderness. No longer will Congress consider protecting a wild place on its own merits — if it’s not making money, it’s not happening. Land swaps — often in the form of wilderness in one place for oil and gas leasing in another — are one way to do it, but Hermosa Creek advocates took a different approach: They split the watershed into three parts with three different levels of protection, so mountain biking, grazing, timber and mineral rights were protected along with pure wilderness. 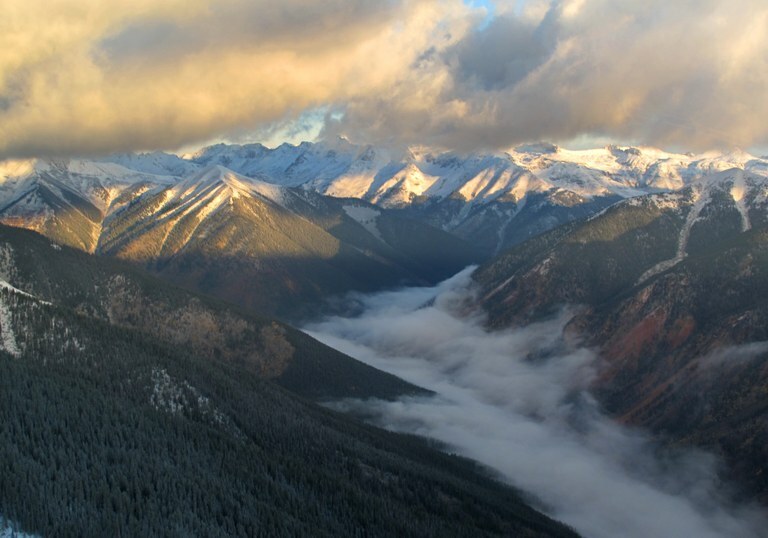 They even got off-roading groups onboard by tacking on a rider that cedes half of a wilderness study area on nearby Molas Pass to “winter recreation” (aka snowmobiling) while granting extended wilderness protections to the other half. “A bill with wilderness components that has support from the motorized community is practically unheard of,” says Trout Unlimited’s Ty Churchwell. 3) Hire a PR team. Gone are the days when a few hours of IT help and a well-written plea in Comic Sans could sway the public to your cause. Today, a professional website is pretty much required, and if you can make bumper stickers, tap into social media and start an online petition, all the better. 4) It helps to be located in a fairly liberal locale. Western Colorado leans conservative, but college-town Durango is a bastion of outdoor-loving liberals; garnering broad support here is probably more viable than in, say, nearby Mineral County. Other wilderness legislation with a good chance of passage, like Washington’s Alpine Lakes proposal, are also from liberal regions. 6) Be prepared for setbacks. After six years of community input and bipartisan support, last month the House Natural Resources Committee tweaked the language of the bill to undermine the level of protection granted to Hermosa Creek. That’s because committee heads like Washington Republican Doc Hastings and Utah Republican Rob Bishop “have become more assertive in imposing their ideology,” Widen says. “They’ll mark up bills just to weaken protection for protected lands,” telling junior members like Tipton, in effect, that it’s “the price that must be paid” for their bills to move forward. 7) Did I mention giving yourself plenty of time? The changes introduced in the House have caused ardent advocates like The Wilderness Society to revoke their support of the bill in its current form. Widen and others hope to persuade Tipton to change the language back to what was agreed upon by the community, and are hopeful that Congress will pass legislation before the year is up. Still, there’s also the potential that the bills will expire and have to be reintroduced. “There’s going to be a lot more work in the next couple months and maybe even the the next couple years,” Olson says. Widen, in response, jokingly buried his head in his hands.